​Many people donate to the League directly. Fundraising is only one of the ways we generate money. 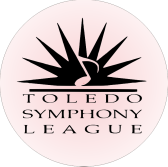 ​Your generous donations support the League's mission of providing service and financial support for the Toledo Symphony Orchestra and its programs, and offering educational opportunities for children and the community to further develop appreciation of music.